Rabbi: Flowing Magma Discovered Under Yellowstone Connected to War in Syria - Breaking Israel News | Latest News. Biblical Perspective. A group of researchers has discovered that the Yellowstone caldera, one of the most worrisome seismic hotspots in the world, has been unusually active in recent months as a result of magma filling up in the underneath chamber of the supervolcano. However, one Rabbi suggests there to be metaphysical factors connect the developments at Yellowstone with the conflict in Syria. Geodesists David Mencin and Glen Mattioli had published test results they ran to monitor the strain on the subsurface rock of the caldera. Their data revealed significant deformation that they referred to as “a hiccup.” The researchers believe this was caused by an exceptional amount of magma flowing. “The sudden episode of uplift was caused by an accumulation of hydrothermal fluids beneath the region,” they said. 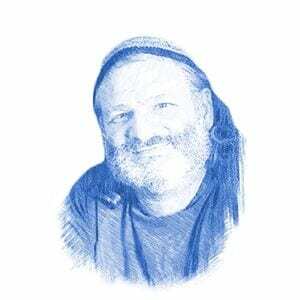 However, Rabbi Yekutiel Fish, author of the Torah blog “Sod Ha’ Chashmal” (the secret of the energy), believes that what is happening underneath Yellowstone is indeed troublesome and that it needs to be understood as being integrally connected to what is happening in the global political arena. Rabbi Fish referred to an incident on Saturday in which Israel and Iran made military contact for the first time which involved an Israeli F-16 being shot down. Also, US-led coalition troops killed several Russian nationals in Syria on Saturday. The rabbi referred to a verse in Psalms. Rabbi Fish cited an explanation on the verse from Rabbi David Altschuler, an 18th century Galician rabbi whose Bible commentary is known as the Metsudat David. “The Metsudat David explains that in the war of Gog and Magog, half of the people who die will be killed in the war that will be fought between the nations,” he noted. Mencin and Mattioli’s findings come at a time when seismic activity at Yellowstone is particularly troubling. There have been three earthquakes at Yellowstone just in the last week, bringing the total since June to over 2,300. Yellowstone is listed as one of the top volcanic hotspots in the world. An eruption of the supervolcano would have global implications. An estimated 87,000 people would be killed immediately and two-thirds of the United States would become uninhabitable. The large spew of ash into the atmosphere would block out sunlight, resulting in an artificially long and intense winter worldwide.